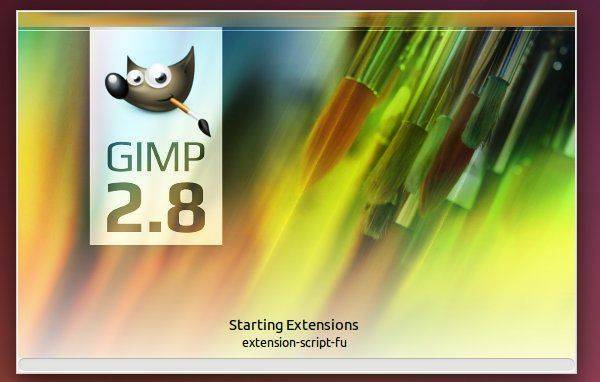 GIMP image editor 2.8.16 was released on its 20th birthday. 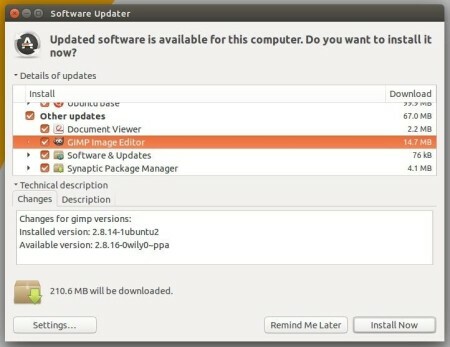 Here’s how to install or upgrade in Ubuntu 16.04, Ubuntu 15.10, Ubuntu 14.04, Ubuntu 12.04 and their derivatives, e.g., Linux Mint 17.x/13, Elementary OS Freya. GIMP 2.8.16 features support for layer groups in OpenRaster files, fixes for layer groups support in PSD, various user inrterface improvements, OSX build system fixes, translation updates, and more changes. Read the official announcement. Thanks to Otto Meier, an Ubuntu PPA with latest GIMP packages is available for all current Ubuntu releases and derivatives. 2. Install or Upgrade the editor. 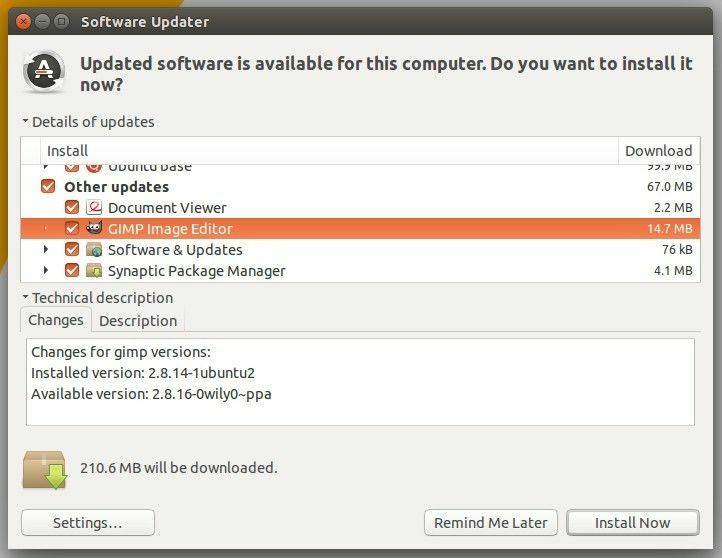 After added the PPA, launch Software Updater (or Software Manager in Mint). After checking for updates, you’ll see GIMP in the update list. Click “Install Now” to upgrade it. Thank you so much Ji m for your big help. I’ve installed this new version using Ubuntu 14.04.3lts amd64 and it works very good. Thank you Ji m! I’m running Ubuntu 16.04 and it’s running good. I found that the software updater didnt give me the option of clicking on gimp to update it, but the command lines dis the job just fine. thanks!! !